Obituary for Rev. William J. Scott | Crouch Funeral Home, P.A. Rev. 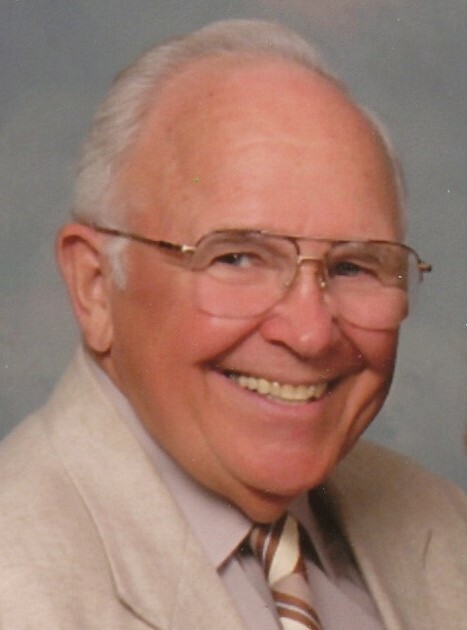 William J. Scott, Pastor Emeritus of Grace Bible Chapel and loving father, grandfather, brother, and friend went to be with his Lord and Savior, Jesus Christ, on February 11, 2019, in the comfort of his own home, surrounded by family. Born in Corry, PA, on October 25, 1925, he was the son of the late William Carl and Sarah May Scott. He was the husband for 65 years of Marian Elizabeth (Matteson) Scott who passed May 14, 2017. Pastor Scott, as he was known to many, spent his life sharing his love for Jesus. He always had a word of encouragement and spent hours in prayer for the concerns of others, both locally and globally. 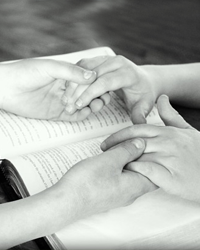 He was keenly interested in all that his children, grandchildren, and great-grandchildren were doing, and they always knew he was praying for them. He also passed on to them his love for hunting, the outdoors and gardening. Rev. Scott spent 40 years as pastor of Grace Bible Chapel, “retiring” in 1992. He and his wife, Marian, enjoyed another ten years ministering to and encouraging missionaries all over the world. He is survived by his 7 children: William M. Scott (Jennifer) of North East, MD, Robert Scott (Roxana) of Phoenixville, PA, Sherrilyn Bergen (Allan) of Saskatchewan, Canada, Gloria Scott of Port Deposit, MD, Daniel Scott (Jacqueline) of Bishkek, Kyrgyzstan, David Scott (Renee) of Port Deposit, MD and Peter Scott (Wendy) of Chiang Mai, Thailand; 24 grandchildren and 7 great grandchildren; his brother, Jack (Carol); his sister, Coletta; and many nieces and nephews. A memorial service will be held Tuesday, February 19, 2019 at 10:30 am at Grace Bible Chapel, 1949 Biggs Highway, Rising Sun, MD. There will be a fellowship luncheon following the service allowing time to visit with the Scott Family. Private interment will be in Rose Bank Cemetery, Rising Sun, MD. In lieu of flowers, the family requests memorial donations be made to Grace Bible Chapel.